Cholesterol is required by the body to carry out important functions such as the production of vitamins etc. However, high levels of HDL, also known as bad cholesterol can block the arteries, preventing proper flow of blood to the heart and other parts of the body. This puts one at a high risk of suffering from a stroke or heart attack. Total cholesterol is a measure of the total amount of cholesterol in your blood and is based on the HDL, LDL, and triglycerides levels. Total cholesterol reading should be less than 200 mg/dL. LDL makes up the majority of the body’s cholesterol. LDL is known as ‘bad’ cholesterol because high levels of this type of cholesterol can lead to plaque build-up in the arteries and result in heart disease, heart attacks, and stroke. LDL levels should be below 130 mg/dl. HDL is known as ‘good’ cholesterol because it helps eliminate excess levels of cholesterol from the body. It absorbs cholesterol, carries it back to the liver, and flushes it out from the body. It also reduces the risk of heart disease and stroke. HDL cholesterol levels should be greater than 60 milligrams per deciliter (mg/dL). Learn More: How To Increase Good Cholesterol? Triglycerides are a type of fat that your body uses for energy. The combination of high levels of triglycerides with low HDL cholesterol or high LDL cholesterol can increase your risk of suffering from a heart attack or stroke. Triglycerides levels should be less than 150 mg/dL. Cholesterol is already present in our blood, as it is secreted by the liver to help the body carry out important functions. This means that HDL, as well as LDL cholesterol types, are also present in our system but in safe amounts, and both carry out their respective tasks to keep our body functioning properly. However, certain factors such as the intake of unhealthy foods or the absence of exercise is enough to cause an imbalance in these cholesterol levels, leading to higher levels of LDL in the blood. Excess levels of LDL cholesterol lead to decreased levels of HDL. Therefore, with no way to push out the excess cholesterol our body begins to deposit it into our arteries. This, in turn, leads to plaque build-up in the arteries, which restricts the flow of blood and oxygen to vital organs such as the brain and heart. When excess cholesterol in the arteries gets mixed with other substances in the blood it can lead to the build-up of harmful plaque. This condition is known as atherosclerosis or hardening of the arteries. 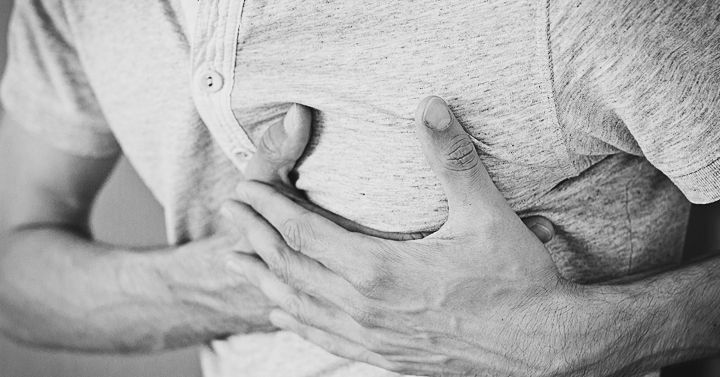 This results in severe and unsettling chest pain, and is an early warning sign of high cholesterol. In most cases, obesity or being overweight could be one of the biggest indications of having high cholesterol levels. Visceral fat releases harmful chemicals into our body, which makes one potentially vulnerable high cholesterol. So simply follow the above-mentioned tips and stick to a healthy diet. This will not only help lower your high cholesterol levels but also help you lose weight, and benefit your overall health. Talk to our expert doctors and nutritionists. Call on our toll-free number 1800 266 0607 and Book an appointment right away.